Hungarians have a spiritual openness, but the traditional church does not seem to have relevant answers for them. OM Hungary is working to change that through sharing the Gospel creatively and equipping the Hungarian church for mission! OM began its ministry in Hungary in the early 1970s through smuggling and distributing literature throughout the country while it was closed under communism. After the fall of communism in 1989, the first OM workers moved into Hungary to establish outreach teams and to develop relationships with local churches and spread a missions vision among them. 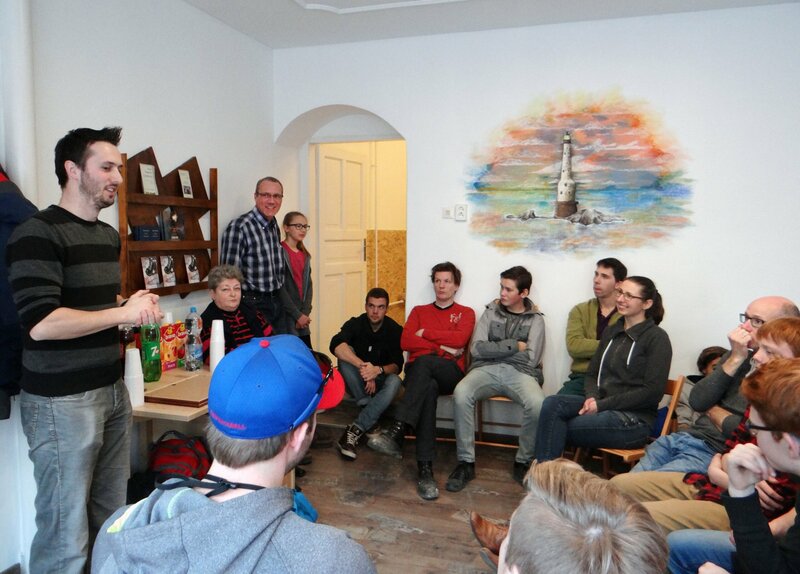 Today, OM Hungary focuses on two areas of mission: mobilisation and evangelism. We continue to build relationships with local churches, develop the vision of missions, and motivate and equip Hungarians to become a part of God’s work in His world. We also share the Gospel through outreaches and ministries that embrace the importance of personal relationships in the Hungarian culture. The growing popularity and necessity of learning the English language in Hungary has given us opportunities to come alongside churches and reach out to communities. Weekly classes for adults and children’s summer camps provide opportunities to improve language skills but also to hear the message of the Gospel. As a universal activity that crosses cultural and language barriers, sports create natural opportunities to build friendships and share the Good News. The baseball club started by an OM Hungary team member as a spring camp in 2002 has today grown to 10 local teams serving more than 120 adult and youth players! Christian coaches and helpers within OM have the opportunity to invest in players each week through practices and games during the season and through Bible clubs in the off-season. In September 2017, the OM sports ministry launched a baseball ‘church’ fellowship for players who are believers and their families. Learn more about the ministry in this video: https://vimeo.com/142641251. Puppet Ministry: OM has always been a leading organisation in creative evangelism, and OM Hungary is no different, having used sketchboard, drama, mime, and music concerts for ministry since the early ’90s. Since 2009, our puppet team has used professional-level presentations to bring the Gospel to schools, churches, and even special-needs homes during the Christmas and Easter seasons. Music and Art Ministry: Hungarians love and appreciate the arts in many forms, and since 1999, OM musician and evangelist Bill Drake has been touring with a rock band and dance team in Hungary each summer to bring a message of love, hope, and redemption to people. In a crowded church, a town square, a prison, or a refugee camp, people respond to Bill's personal message of renewal through Christ. Long before the crises of 2015 unfolded, OM Hungary had been reaching out to the refugees in the country. Starting in 2010, our team regularly visited a nearby refugee camp and a refugee center in Budapest to host language classes, children’s programmes, small group discussion, and ladies‘ meetings. In 2017, our refugee ministry underwent major changes due to the Hungarian government’s closing of the nearest refugee camp. Today we are transitioning our approach to refugee ministry with a new vision to train and equip churches near refugee camps on helping refugee families. For the Hungarian Church to be dynamic followers of Christ sharing the Gospel with their neighbours, strengthening their existing churches, and planting new churches in their communities or other parts of Hungary. Pray that the Church would have a vision and burden not just for their own locality but for the wider world as part of their calling to the Great Commission. For the OM Hungary team to continue to depend on God and for daily strength to fulfill His plan for themselves and the people of Hungary. Go: We need people to join our team! Whether you have administrative skills or a couple of spare weeks in the summer, you can be an answer to our prayers for more helpers in the harvest field of Hungary. See our short-term and long-term opportunities here. You can get in touch with us with specific questions by emailing Jill at info.hu@om.org. With a population of 10 million people, Hungary is a traditionally Christian country but in reality has become a secular nation. More than 50 percent of the population identify as Catholic; approximately 20 percent are Protestant; and the rest are atheist or following other religions. Within the Protestant church, the Reformed Church is the largest denomination with 11 percent of the population, followed by Lutherans (2 percent), Baptists, and Pentecostals (less than 1 percent). The evangelical churches combine to claim an estimated 2-3 percent of society. Under communism, Hungarians experienced a shame-based, atheistic society and learned not to trust anyone – causing effects that can still be seen in the culture today. Secularism, materialism, and New Age spiritualism are where Hungarians are now seeking answers for life’s questions. Hungarians have a spiritual openness, but the traditional church does not seem to have relevant answers for them. The Hungarian government introduced legislation in 2012 that greatly limited small evangelical churches politically, but a positive result of the law has been a drawing together of denominations in seeking to help their fellow brothers and sisters in Christ in the smaller churches. Do you have a heart for creative ministries, member care and discipleship, reaching youth and families, or supporting ministries behind the scenes? Consider how you can make a difference Hungary today!